Keep it inside, and keep it quiet. American youth, especially those within the Black community, learn to suppress most of their negative emotions at an early age through the lack of conversation about mental health. Not only has our nation’s society developed an ongoing stigma around mental health and the act of reaching out for help, but an unspoken agreement has seeped into the unseen cracks within the Black populace, fostering the belief that you have to remain unwaveringly upright amid life’s unforeseeable ups and downs. 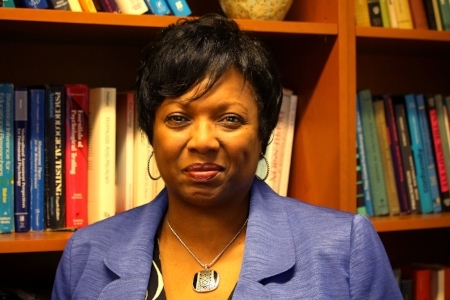 According to Dr. Sharon Kirkland-Gordon, the acting director of the University of Maryland Counseling Center since 2010, about 16 percent of students who received advice and guidance from the counseling center during the past few years have identified as African-American, which is notably a greater figure than the university’s percentage of registered Black students. As an eager, ambitious freshman who is still learning how to tread the stormy waters of college life, Samson finds difficulty in maintaining a balance between her hectic schedule and her need to spend time with herself. She confessed that she appreciates how social media has taken on a more significant role in people being more vocal about their own experiences with mental health, yet doesn’t believe that enough actions are being taken in addition to the raised awareness. Many individuals possess the false notion that their struggles are unlike anybody else’s internal and external conflicts, but messy and overwhelming emotions are common sentiments that many, if not most, college students wrestle with on a regular basis. Aba experienced a mental breakdown recently after he reflected on his life’s current trajectory. Dr. Kirkland-Gordon emphasized the importance of seeking help when you need it, as the state of one’s mental health tends to worsen without an intervention. Additionally, there are numerous small, everyday methods in which students can handle their negative thoughts in a healthy way. If the mental health stigma continues to lurk in the shadows of the Black community, it will become increasingly grueling and strenuous to break the cycle of individuals neglecting the highly prevalent and universal issues of depression, anxiety, stress and additional mental health illnesses. The prolonging of this poisonous pattern can cultivate further feelings of loneliness and detachment within those who are enduring their emotional pain by themselves. It’s crucial to arm yourself with one of the most vital weapons in battling the mental health stigma not only within the backdrop of the Black populace, but also within the forefront of American society. A resistance against sustaining a silent state of mind.